For those of us who have been through our Admin Training and are now beginning to explore the Profit Rhino mobile, you may be wondering how to utilize the Quick Add feature in the mobile that you've been using in the web build. 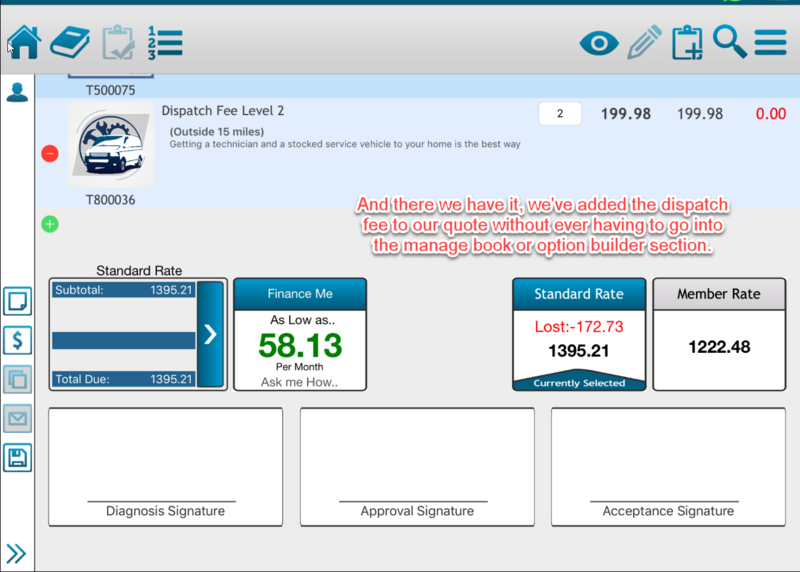 You're probably wondering if there's an easier way to get your dispatch fees and diagnosis fees onto quotes and invoices as well. That's what we'll be demonstrating in this article. The first thing you'll need to do is log on to your Profit Rhino application from an IOS or Android tablet. (Please keep in mind that all example images will be from IOS, but the layout in both versions is extremely similar). As you can see in the example above, once I've made it to the quote builder screen, all I'll need to do is click on the little green + button. Upon doing so, I'll see the drop-down list of different Quick Adds. 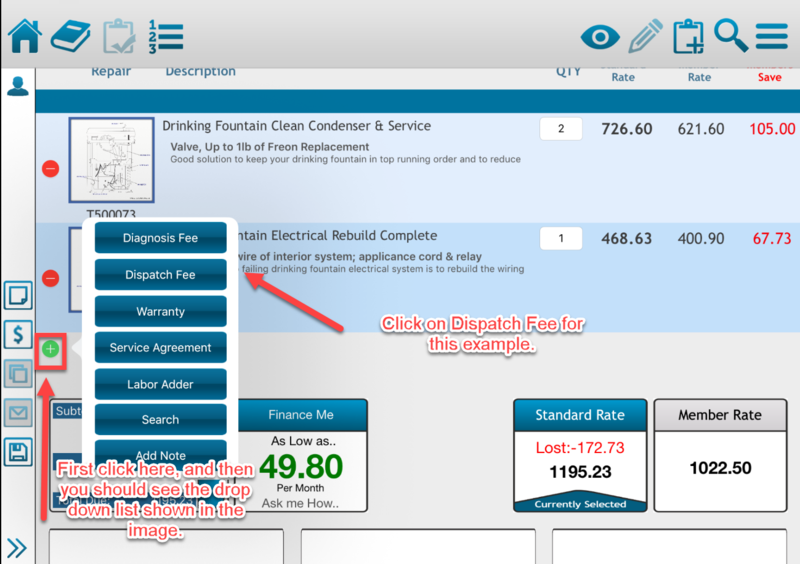 For this example, choose Dispatch Fee. 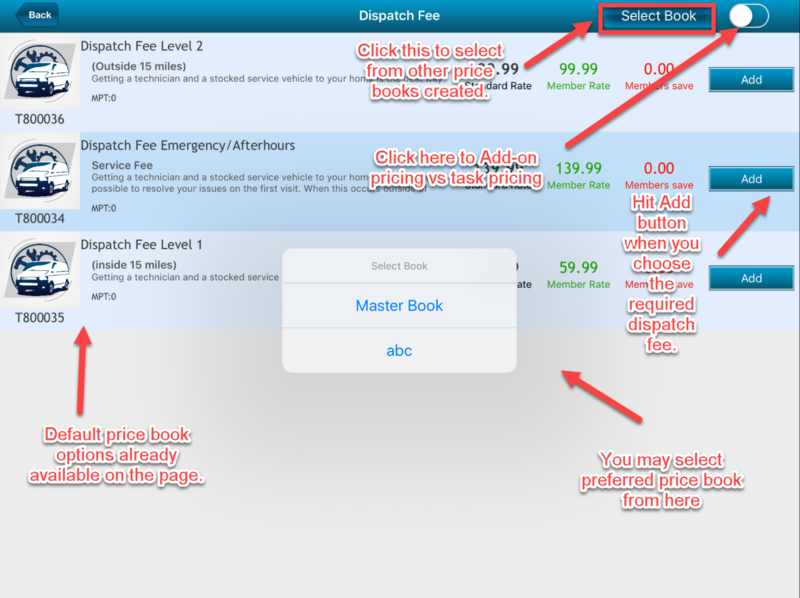 On this screen, you'll simply need to choose which book you'll be pulling your dispatch fee from. From this screen, you'll need to click the [Add] button on whichever dispatch fee you'll be adding for this quote. After that's done, click the [Back] button on the top left of the screen. Having a strong understanding of the Quick Add feature will allow your technicians to save a good amount of time out in the field when building their quotes. Good luck!